Formed in 1979, Harvesters Community Food Network has been an integral part to maintaining the overall well being of citizens in the Kansas City area. Harvesters mission is to "Feed hungry people today and work to end hunger tomorrow." In this piece produced back in 2004, we see the important roles Harvesters has played in different individual's lives, and are shown proof positive that they were achieving their mission back then, and continue to achieve their mission to this day. In honor of March Madness coming up, we chose a suite shot that is COMPLETELY MADNESS! Down by 2 with 4 seconds left, junior Asya Benally of Heritage Christian Academy drains a half-court shot at the buzzer to send HCA to the KS State Tournament! We were lucky enough to be on the scene to capture this amazing moment on video and witness the joys that followed! In the spring of 1997, DHTV was able to help produce a series of nationally syndicated television pieces highlighting various individuals and organizations of note in America. In this particular piece, we placed the spotlight on the notorious baseball equipment company, Louisville Slugger, the video being narrated by the award winning actor, James Earl Jones. Today, the DHTV Digital video crew braved themselves out in the cold to grab a few shots for one of our clients, Peterson Manufacturing Company. Shots mostly consisted of images of semi-trailers out in the inclement weather. Although it was quite chilly, we got the job done and gathered all of the footage we needed. The highlight of the day, though, was strapping our GoPro action camera on the bottom of one of the semi-trailers. That will definitely be one of our “suite shots” in the coming weeks! A big thanks to Groendyke Transport, Inc. for collaborating with us to make this shoot happen. Today, we are dreaming of spring and summer! Enjoy a few shots of the Florida Keys, a hub for water activities galore such as snorkeling, scuba diving, boating, and fishing. Our Throwback Thursday this week comes from 1997. At the time, we were producing the TV show, ‘Destination: Hope’ and the syndicated series ‘Assignment Hope’. One of our favorite segments was the Medal of Hope Ambush. Here’s what it looked like. Back in July of last year, our team experienced the once in a lifetime opportunity of going to shoot a series of films in the country of Haiti. Here, we witness one of the young locals running up to Dave Hansen (Helping Hands for Haiti Founder), in excitement as he came to visit this particular family. Each day was filled with experiences like these, moments showcasing true love for others. Here we visit Cottonwood Falls, Kansas, home of the Chase County Courthouse. Built in 1873, it is deemed the oldest Kansas courthouse still in use. Enjoy some aerial videography of the beautifully constructed French Renaissance style architecture! Enjoy some additional footage from our trip to Logan, Utah as we follow one of our interviewees on their bicycle! The shots were captured in a vehicle as our subject whizzed in front of and behind us down the scenic mountainsides. Thank goodness for gimbals! DHTV was recently able to travel all the way to Logan Utah, and capture footage that included some beautiful moments of a family on horseback. What many people don't realize, though, is the work it takes to get the horses ready! Gaze upon the beautiful Mackay Hall, Park University's defining structure on campus. This suite shot was captured towards the end of this past fall, as the colors were beginning to fade from the trees, ever leading us closer to winter. This past summer, DHTV was able to visit the country of Haiti, to shoot a video for a Christian organization aimed at helping locals in and around the small village of Mauger. In this exciting moment, a few members of the organization starting throwing water balloons over the compound walls to surprise the kids! The smiling faces on each child was quite something to behold. Shooting video at night can be a difficult task, but in the right setting (with the right light set up), one can really gather some great footage. Here, we shot some video for a client who wanted to highlight the bustling and buzzing of vehicles driving by. The headlights on each car moving directly toward the camera gives the viewer a unique perspective. 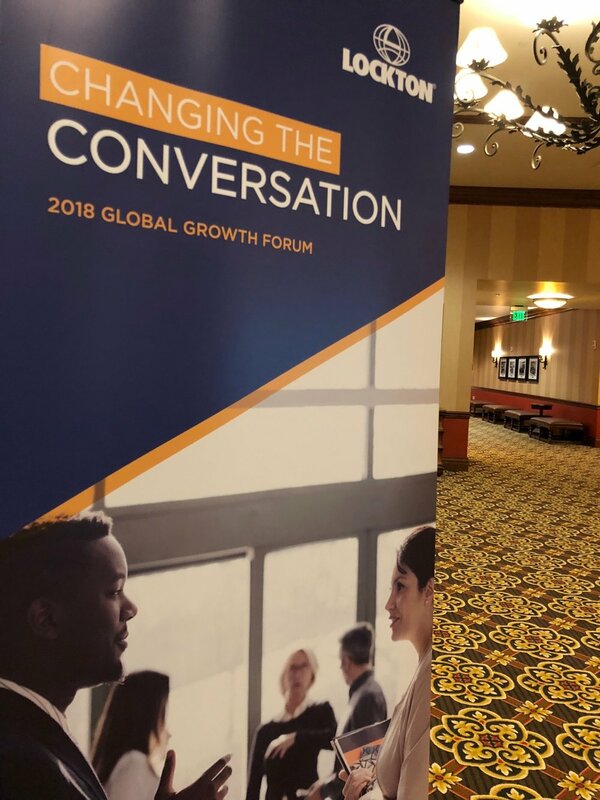 Last week, DHTV made their way out to Colorado Springs, following Lockton as they gathered for their annual “Global Growth Forum” event. The trip was filled with tons of shooting and editing, with multiple late nights in prep for the event’s various video production needs. As always, our crew was diligent about having all video footage and graphics looking great and finished promptly. It was a full week of work, but nothing makes us more content then leaving a production knowing our client’s needs were met and they were happy with the service we had an opportunity to provide. Enjoy a few stills of our guys working hard!